Like many things in today’s marketplace, customer experience has changed drastically. Today’s “always-connected” customers expect to be engaged anywhere, at any time, and human-centric customer experience is fast becoming the norm. This is largely a result of digital transformation, which is forcing companies to change their business strategies and adapt to new market realities. So how can companies keep up with the new, digitally conscious customers to ensure that they stay in the game? 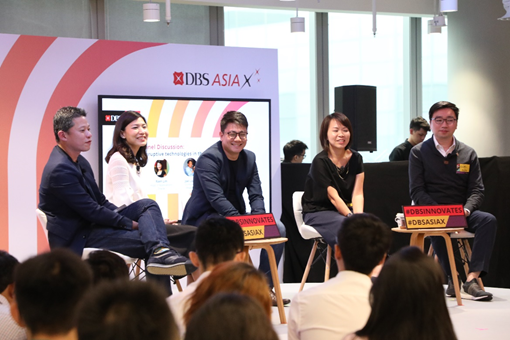 We sat down with Raen Lim, Head of Applications, Oracle Singapore, at the DBS Asia X FinTech Festival Lab Crawl to find out how disruptive technologies are evolving businesses, especially in e-commerce. How can disruptive technology enhance customers’ experience? Disruptive technologies that reduce friction for the customer journey tend to be the ones that enhance the customers’ experience. There is a strong correlation between effort score and customer satisfaction levels — the lower the effort required by the customer to conduct business with you, the higher the satisfaction levels. One business reaping the benefits of big data and AI is Carousell, one of the world’s largest mobile classifieds marketplaces. By integrating Cloud service with its AI tools, Carousell is able to roll out dynamic landing pages with personalised content based on users’ past behaviour or project behaviour. Additionally, Carousell is also able to achieve in-depth insights into the effectiveness of its social media marketing efforts through certain Cloud-enabled functions. These valuable insights enable Carousell to create more relevant and personalised editorials for their users. What can businesses do for deeper customer engagement in the age of social media? In the age of social media, businesses have lost quite a lot of control over how they want their brand to be perceived. However, on the other hand, they have gained a lot of third-party voices that can help them promote their brand. Social media is a much cheaper and more accessible form of advertising for businesses than traditional media, representing a huge opportunity. What businesses need to consider in their engagement strategy in social media is how they can make their messaging contextual and consistent to their target audience. This is especially if their main buying segment is millennials, who tend to be extremely active and vocal on social media and look for brands that align with their values and beliefs. What is the importance of cloud computing for scalability and speed in e-commerce? Scalability and speed in e-commerce are extremely important — as an e-commerce provider, you want to ensure that your services continue to run optimally during peak periods. Typically, 53% of users abandon a site if the page doesn’t load within three seconds. Cloud has certainly democratised the technology options available for e-commerce providers where they no longer need to invest heavily on IT to keep the lights on, which then allows them to focus on their core business of serving their customers. Cloud Computing also gives e-commerce providers elasticity of supply where needed. What are some of the opportunities and challenges that the e-commerce industry face with regards to data? As all transactions in the e-commerce industry are digital, there is an immense amount of data that can be collected for analysis, which in turn can help to drive strategy across pricing, marketing, product, service, etc. The challenge for a lot of e-commerce providers is that they invested in disparate systems as they grew their business, which resulted in a hotchpotch of data sources they are now finding difficult to reconcile and make meaningful use of. Also, the introduction of stricter regulation on consumer data use could impede data mining by the e-commerce industry. Removing friction makes customer experiences seamless and instant. However, sometimes friction, if applied strategically, can enhance the customer experience. What are your thoughts on this? I think that customers considering purchasing products and services that are complex and high value in nature probably will appreciate manual intervention that may provide some beneficial friction. Examples would be life insurance or financial products where consumers would appreciate advice from a financial planner, who may advise the customer against certain products and challenge their choices based on the understanding of their needs. We see more women stepping up to the innovation stage in recent years, how do you see women shaping innovation in society? I believe that women provide a fresh perspective to the way the world is run today. I do see a lot of women stepping into leadership roles across different industries more and more, which would certainly add diversity and colour to innovation, and the way businesses are being run today and tomorrow. What are the ups and downs in your career in the innovation and tech world? For me, the draw of the innovation and tech world has always been about how our lives can be improved with technology. Some technologies fail, others persist, and that is the excitement of being in this space — nothing is mundane as things are always evolving. I feel very fortunate to be part of a company that invests in the future, and that R&D effort is present in our products which our customers benefit from. Raen Lim is Head of Applications at Oracle Singapore, the top provider of business software globally. 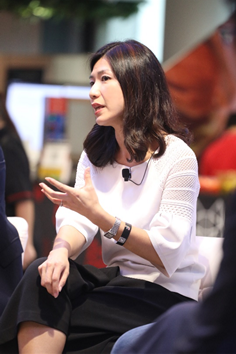 She was one of the panellists for the panel discussion on “Disruptive technologies in the e-commerce space” at the DBS Asia X FinTech Festival Lab Crawl that took place on 15 and 16 November 2018. Get the latest on DBS Bank.